NEXT WEEK!! 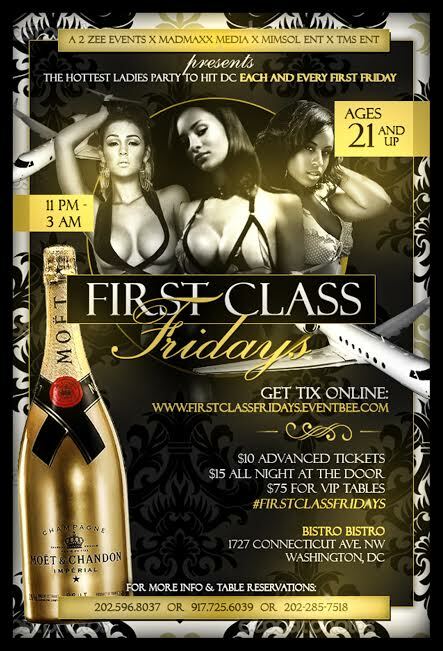 #FirstClassFridays at Bistro Bistro – Feb. 7th 11p-3a! The NEW Friday night event for Lesbians in the DC area is First Class Fridays! THE HOTTEST LADIES PARTY to hit DC Each and EVERY First Friday of the month!! First Class DJs: 2 of your favorite DJs on the 1s and 2s, rockin you all damn night!! This is a 21+ EVENT!!!! !